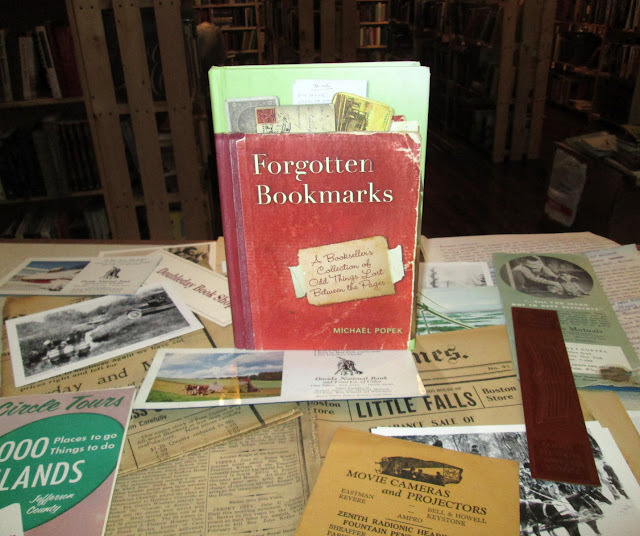 The holidays are fast approaching, so I thought I would give away three signed copies of FORGOTTEN BOOKMARKS this week. It makes a great gift! Would love to WIN and give it to my brother! This would be so great to own. Thank you so much for all you offer. Yippee! I would love one! I would love to win for Christmas! As a former school librarian, I've often wished that I had saved all the things I found in returned books. Thank you for doing so! I am dreaming of holding it in my hands one day! :) A perfect book for Christmas! This is always my favourite give away. thanks for offering it. This would be awesome to win! thanks for the chance! I love the concept of this book. So neat! Enter me please! love this site, would love one of your books. This book looks like such fun! I would like to be included in your give away. Thank you for doing this! I've never seen this book before I would really love to win this book.I'll fill blessed to win one of these books. Perfect! Thanks for such a generous offer!! Happy Holidays! It looks like a cool book. What a great giveaway! Thanks for a chance to win a copy! It is so wonderful that you have a contest each week - way to go! Thank you for offering. I'd love to give your book a good home! Looks like a wonderful book. Thanks for the chance and happy holidays. Sign me up, please. Would love to have a copy.